Telogen – or resting phase that lasts about 2 to 3 months*. New protein cells are formed and a new hair replaces and the growth cycle starts again. This is minimally invasive therapy. Medical grade carbon dioxide gas (CO2) is infused just under the surface of the skin. The body responds by increasing oxygenated, nutrient-rich blood to the treatment area. This stimulates a healing process for the follicles. This helps in the stabilization of excessive shedding and promotes new hair growth. Several treatments are required based on level of hair loss. 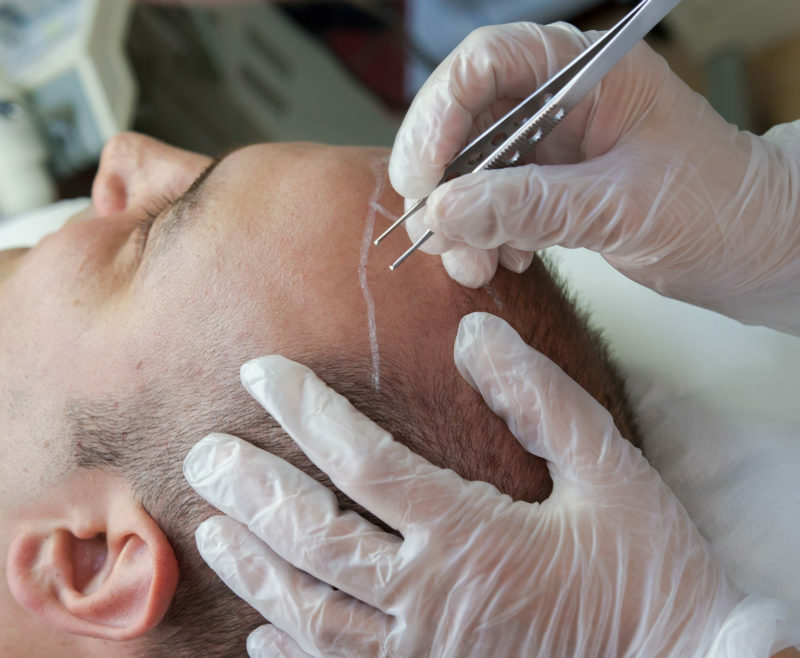 Come in for a free no obligation assessment to learn more about Hair transplant treatments and if you are the right candidate to receive Hair transplant.